Do you like animals, beer and Sundays? Of course you do, who doesn’t?! 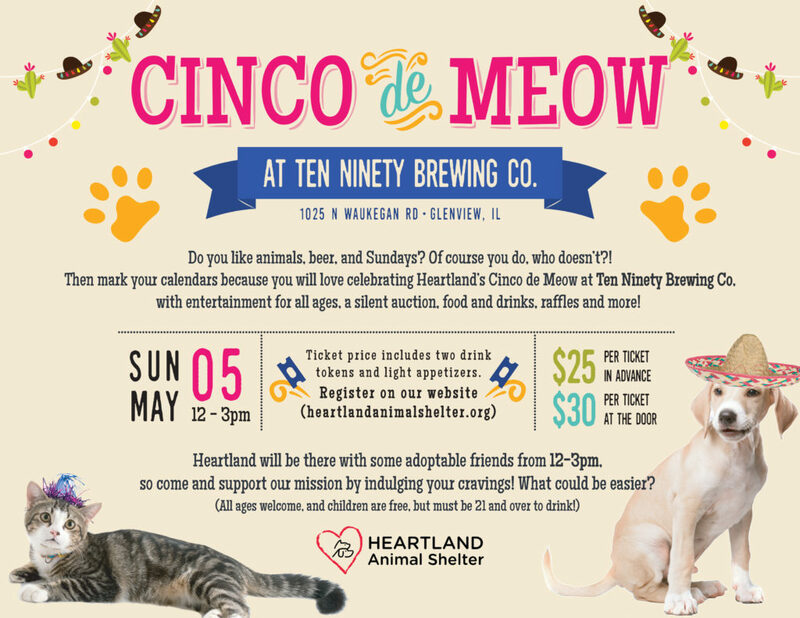 Join us on Sunday, May 5th to celebrate Cinco de Meow at Ten Ninety Brewing Co. in Glenview. From 12:00-3:00pm there will be entertainment for all ages, a silent auction, raffles and some adoptable dogs too! Tickets include two drink tokens and light appetizers and there will also be additional food and drinks available for purchase. Tickets are just $25 in advance, or $30 at the door. Children are free!